Karl Lambertz, 53, a 16-year veteran at Kiekert, will take charge of the supplier's Asian operations. 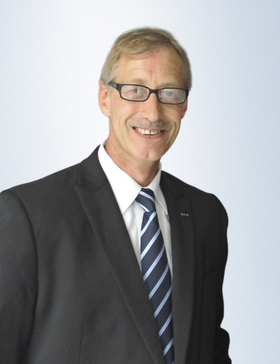 HEILIGENHAUS, Germany -- Kiekert, a German supplier of automotive door locks and latches, has named Karl Lambertz director of its Asian operations. Lambertz, 53, will be based in the eastern China city of Changshu, where Kiekert built its first Chinese factory in 2011. The factory, which employs 1,000 workers, supplies customers throughout Asia. He will replace Kay Dessel, who will move to the company's headquarters in Heiligenhaus. Lambertz had been general manager of Kiekert USA. He joined the company in 1998. Kiekert controls roughly one fifth of the global market for side door latches. The company, which employs 4,500 worldwide, has factories in Germany, the Czech Republic, the United States, Mexico, China and Russia. Last year, Kiekert generated global sales of 600 million euros (5.1 billion yuan). Customers include Daimler, BMW Group, Ford Motor, Renault, PSA/Peugeot-Citroen and Volkswagen Group.